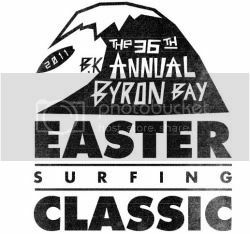 36th B.K Annual Byron Bay Easter Surfing Classic runs over the Easter weekend @ Broken Head. A huge crew of Le-Ba surfers are entered in most of the divisions. The forecast is for small swell throughout the event so take your grovel boards fellas.